We’ve already alluded to the fact that Aurora Trails is centred around green living, but just how green is an entirely different question. With the new master-planned community launching later this spring, it’s time to disclose all the must-know facts about the development. For starters, you know you’re in good hands when four well-known GTA builders team up to create the community. The builders — Arista Homes, Fieldgate Homes, Paradise Homes and Opus Homes — each have a distinct style that they’ll bring to the large selection of singles, semis and freehold townhome designs. 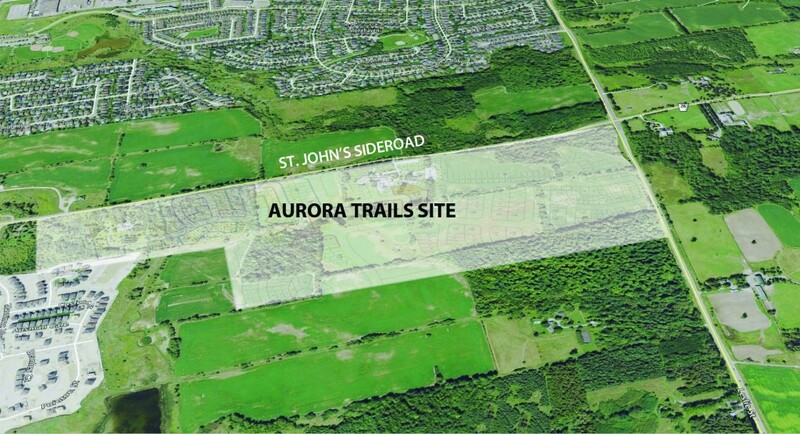 Located on the southwest corner of Leslie Street and St. John’s Sideroad in Aurora, the new community will dedicate 40 per cent of its land to “natural heritage areas”, which will include public parkland, woodlands, creeks and stormwater management ponds. 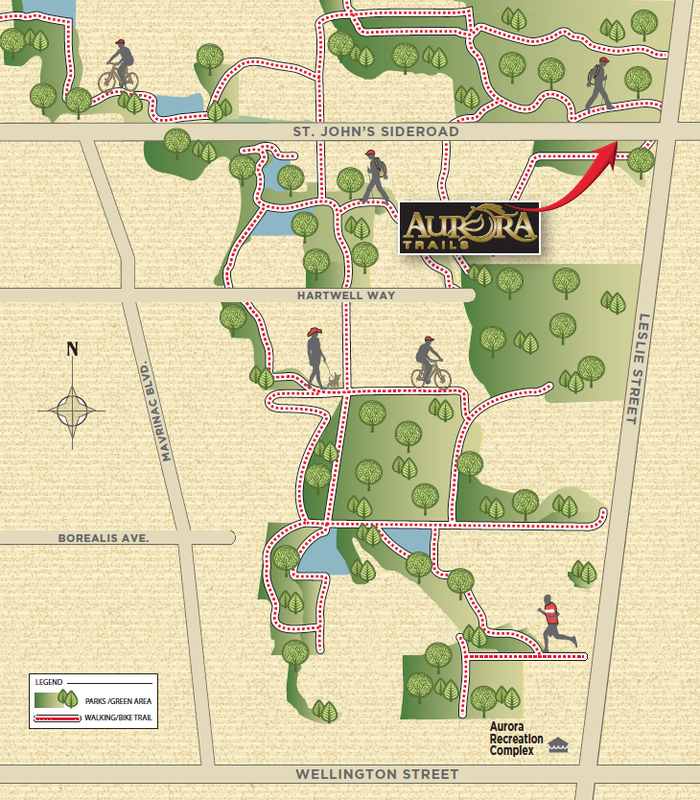 Couple this with the fact that Aurora Trails will boast a “butternut plantation” to help preserve and propagate butternut trees, now an endangered species. That’s not the only flora that will be located on site; the development will feature a two-hectare community park with proposed family-oriented amenities, including a playground, splash pad and gazebo. The community will also be guarded by the historic Coltham Farm House, which has been a famous landmark in Aurora for over 100 years. It will be situated beside a community convenience store and other appealing services. Other family-oriented conveniences in town include a number of reputable schools, while several other schools are proposed to be built just south of the development. After absorbing all of the green-based facts above, it seems natural and necessary that the building’s interior features should follow suit. For this reason, each unit will be decked out with energy-efficient systems and eco-friendly materials. Stay tuned, interested residents, because the doors to the presentation centre will be opening before you can say “sustainability”. Or, at least shortly afterward. In the meantime, register online!